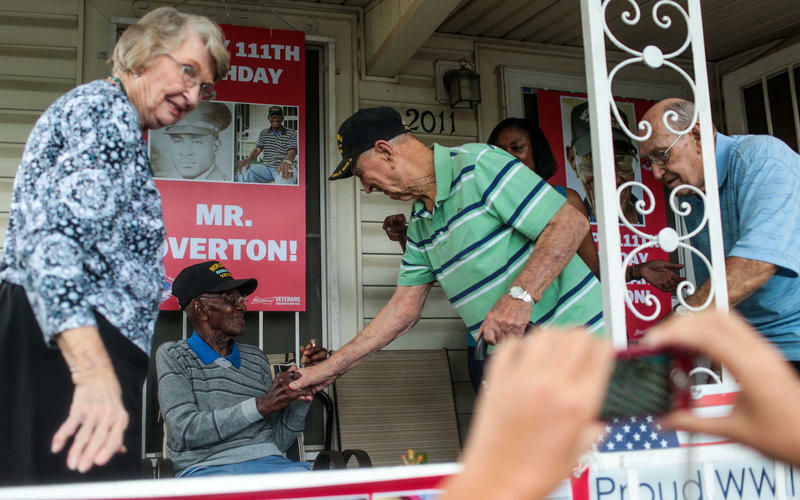 Richard Overton greets well-wishers on his porch in East Austin during a birthday celebration for him in May. 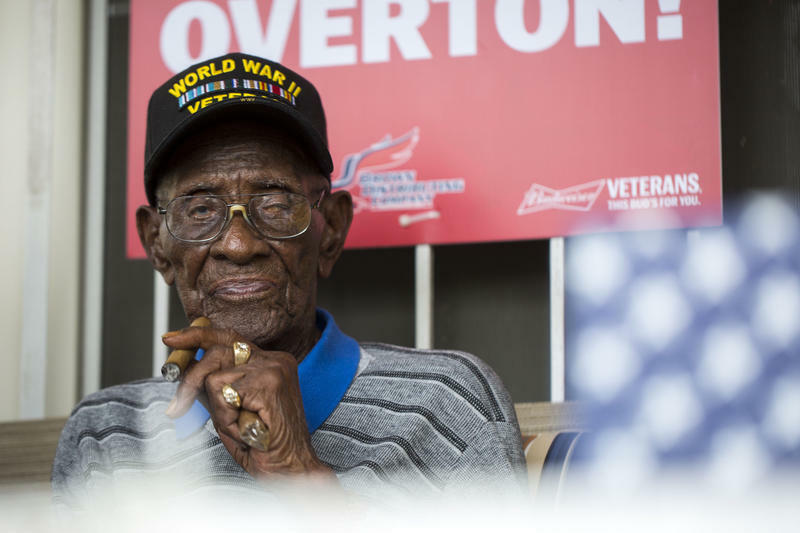 Adam Hauser, the president and CEO of Meals on Wheels Central Texas, said the restoration will allow Overton to continue living safely in his own home. The upgrades include new electrical wiring, widened doorways, laminated floors, bathroom renovations and a central heating and air conditioning system. The work is expected to be complete by the end of the month. Meals on Wheels Central Texas has repaired almost 200 veteran homes since 2012. Forty other home repairs for veterans in the Austin area are currently underway, with another 40 to be done before the end of the year.